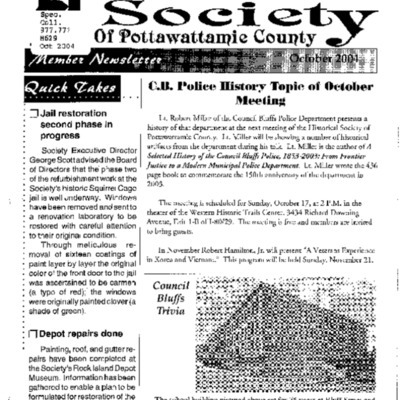 October 2004 Historical Society newsletter. Take it from teen-age critic. Italian exchange student make bit hit with A.L. boys. 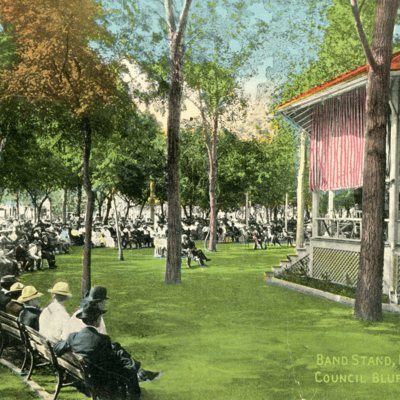 Sharing love for music . 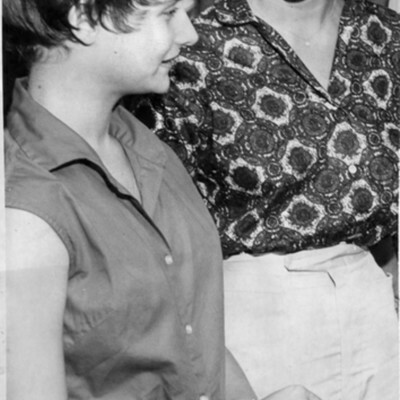 . . are Darlynn Meyerson, left, Mega Prever, Mr. and Mrs. Guisepper Prever, Mrs. Leo Meyerson and Mr. Meyerson. 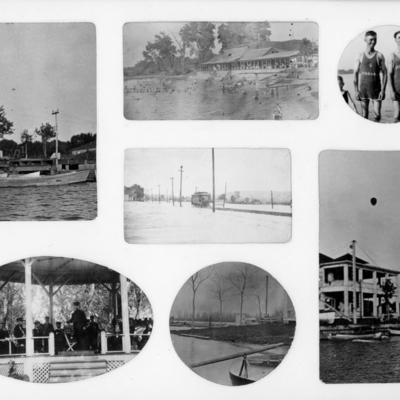 -- Nonpareil Photo. 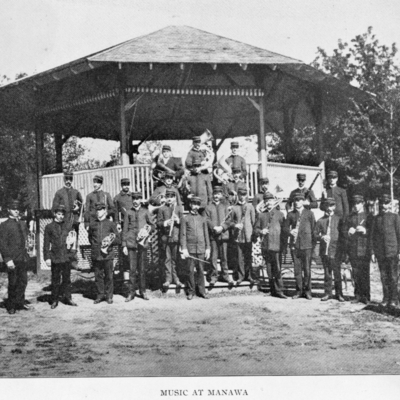 Photograph of a band of musicians at Lake Manawa. 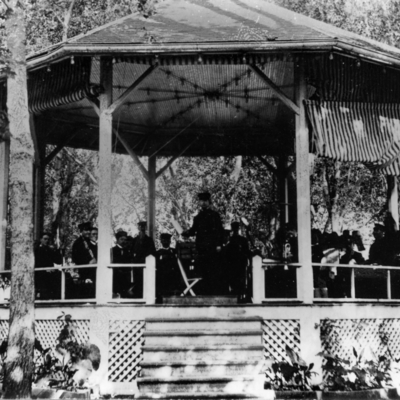 Photograph of Covalt's Concert Band at Lake Manawa. 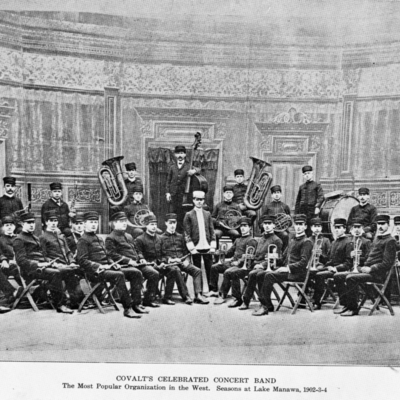 Postcard picturing the Council Bluffs Municipal Band. 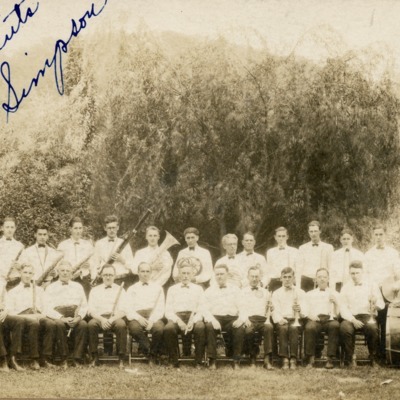 Partial list of names on back. 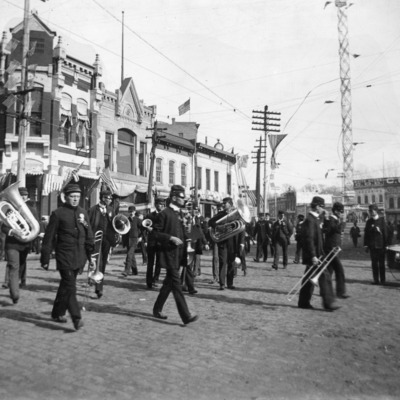 Photograph of the Oskaloosa Iowa Band marching in a parade celebrating the return of the 51st Iowa Regiment from the Philippines. 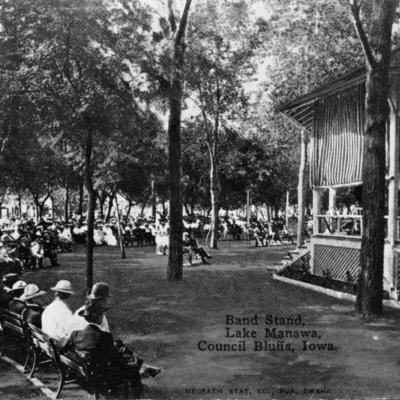 Main and Broadway. 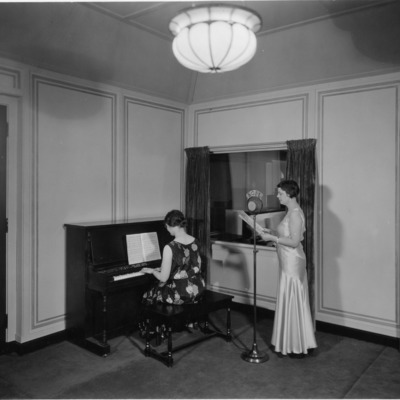 Photograph of two women in the KOIL Radio studio - Fairmount Park, Council Bluffs (Iowa). 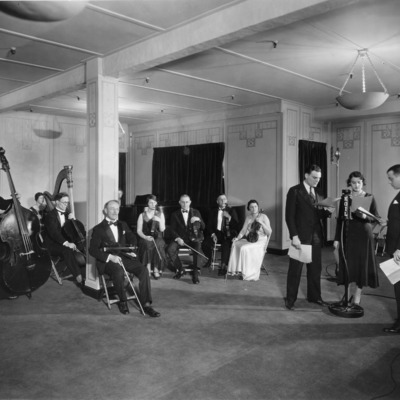 Photograph of the KOIL Radio studio with orchestra and performers.